In Proverbs chapter 31, King Solomon asked a compelling question – “Who can find a virtuous woman?” A woman who knows her worth, is pure in body and spirit, she is full of strength and honor. She takes her role as a woman, as a wife and even as a mother very seriously. She is known, honored, respected, and praised by many. Certainly she is rare and a picture of beauty and Christ-like perfection. Certainly we should desire to live the outward virtuous life and to be known as a virtuous woman. 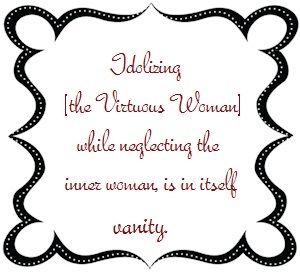 It’s important to note, however, that idolizing her while neglecting the inner woman, is in itself vanity. I notice that we can read about what she does but we must dig deeper to find the source of why she does what she does. 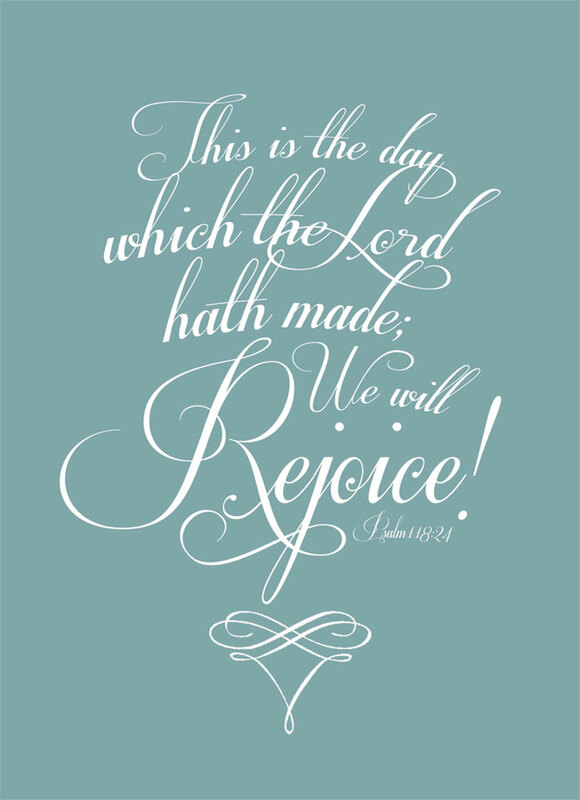 Virtue simply means doing what we know is right – living righteously or godly. I believe the woman that Solomon spoke of was much more than hard working and well known. She had found the key that opened the gate to lead her down the path of virtue. So what makes a virtuous woman? Is it a good work ethic, good business skills, a clean home and well behaved children? 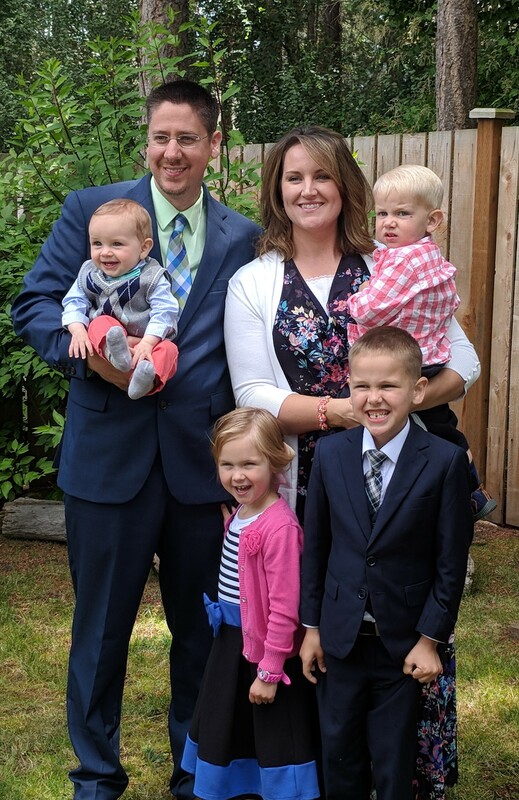 What makes a good wife…daughter…mother…Christian…spiritual leader? If there was but one character in which we should excel, what would it be? Colossians 3:14 says, “And above all these things put on charity, which is the bond of perfectness.” That word “charity” is the “agape” love – selfless, sacrificial, Christ-like love. The word “bond” simply means anything that binds or holds things together; “Perfectness” meaning finished, complete. A woman who lacks charity within friendships finds herself friendless. A woman in a position of leadership who lacks charity finds herself ineffective and unable to lead others. A woman who lack love for her Lord will one day show up empty handed. A mother who lacks love in the training and disciplining of children drives them away in anger. A wife who lacks charity, or self-sacrificing love, creates a marriage of discontentment and distrust. In our relationships, we love by giving. This is the way of virtue. Selfless love is the bond of Christ-like perfection within your relationships. And when a woman rightly places her love – the Lord then others before self and things – she is becoming a virtuous woman. If Christ-like love is not central in our relationships and homes, they will fail. Above all else, put on, clothe yourself, ground yourself in love. “Above all else” means possessions, ambitions, personal pursuits, hobbies, a clean house, and “me” time. Biblical charity is putting your needs below the needs of others. This doesn’t mean you don’t make time for yourself or pamper yourself and buy things for yourself. It’s all about priorities – Jesus, others, then you. Marriage, and especially children, has a unique way of revealing where our true love lies. 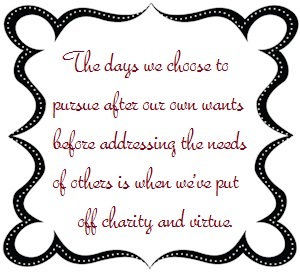 The days we choose to pursue after our own wants before addressing the needs of others is when we’ve put off charity and virtue. 1 John 4:12 says, “No man hath seen God at any time. If we love one another, God dwelleth in us, and his love is perfected in us.” The Virtuous Woman had the hearts of her husband and children – verse 11 “The heart of her husband doth safely trust in her…” and verse 28 “Her children arise up, and call her blessed…” She carried herself with grace and wisdom – verse 27 “She openeth her mouth with wisdom; and in her tongue is the law of kindness.” Ten different verses show how she provided for her family in so many ways – physically, emotionally, and even spiritually. I believe it was because she placed her love and affection on the things, or should I say the people who really mattered. It was not her actions or words alone that claimed her as virtuous. It was the deep love she had for her Lord that drove her to show that same self-sacrificing love for her family. 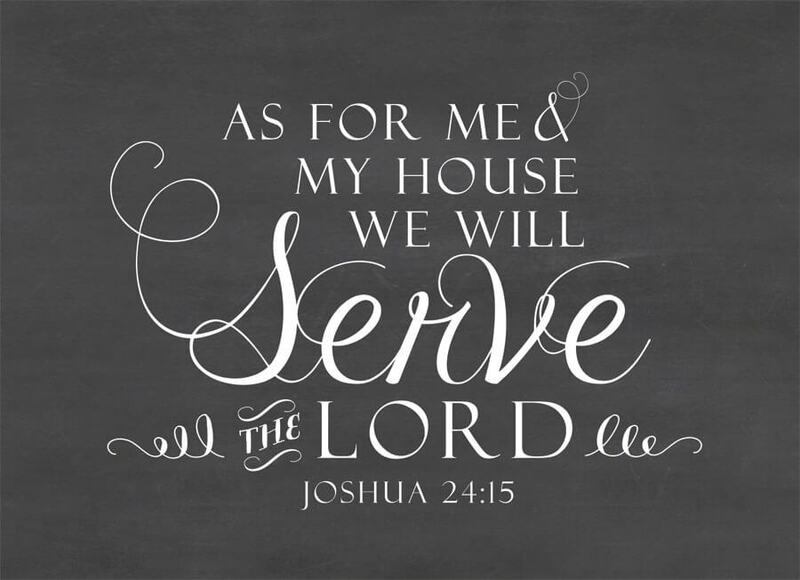 Because of her love she gladly served and gladly forsook her wants and she spoke with such grace and affection toward all. May we as women – young and old, married and unmarried – have renewed passion to love as Christ loved; to base our relationships, our service to the Lord, and our roles in the home on love. Paul said if we have not charity in our words and our actions are as “sounding brass” – meaning they are vain or empty. The Bible says, “Charity never faileth.” We should believe that and take it literally. In our marriages, our homes, our church, our friendships, our communities or mission fields, when everything is failing – show love. The greatest command is to love the Lord and the second greatest command is to love one another. Charity never faileth. 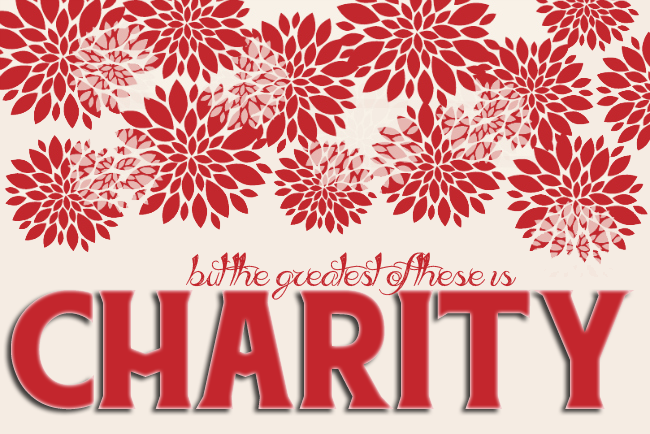 Charity is what drives us to live righteously. 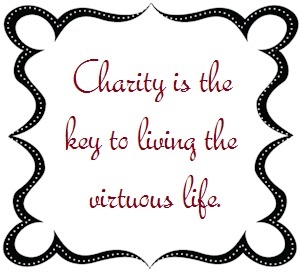 Charity is the key to living the virtuous life. Well said Jackie. 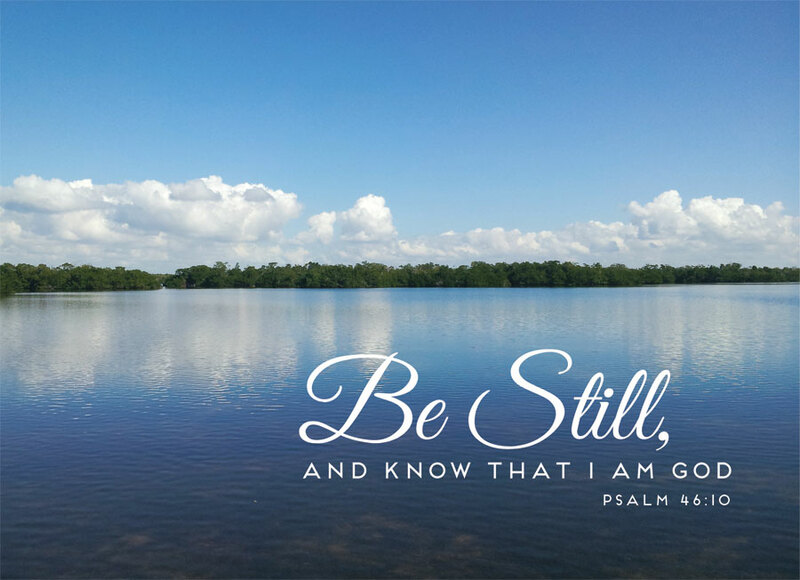 What a great challenge and encouragement to refocus my priorities. I am teaching 1 Corinthians 13 in Sunday school. I’m going to print this and share with my girls.